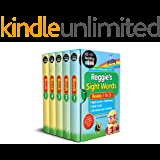 Make learning to read fun, with phonics and sight words! 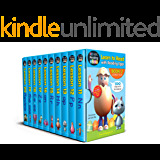 Learn to Read with Reading Eggs Box Set 1: Lessons 1–10 includes 200+ pages of high-impact reading activities that will get your child reading. 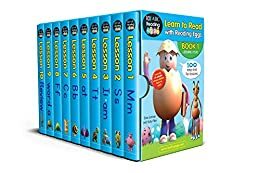 From the creators of Reading Eggs, the website where children learn to read, these reading lessons are full of phonics, sight words and phonemic awareness activities that are fun, interesting and highly effective. 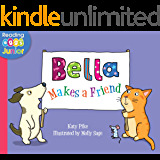 Easy to use, beautifully designed and child friendly, each page is simple, with a clear learning focus. build talking and listening skills. learn the letters m, s, i, t, b, c, f and a.
say the sound of each letter. learn the sight words: I, am, a. 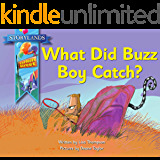 Look for the other box sets in the series to continue the reading journey. Reading Eggs is a team of expert educators with more than 30 years' experience publishing quality literacy resources for children all over the world. 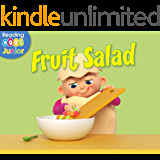 We specialise in teaching children how to read, at school and in the home. Our aim is to develop a lifelong love of learning for all children.